The newly appointed Rex Captain remains busy preparing for Carnival year-round, with a flurry of activities and costume adjustments ramping up as the big day quickly approaches. Known outside the Rex organization as Sir Bathurst, the Rex captain’s true identity remains a mystery to Carnival commoners, while inside the School of Design, the leader plays an integral part in the running of the Rex show. 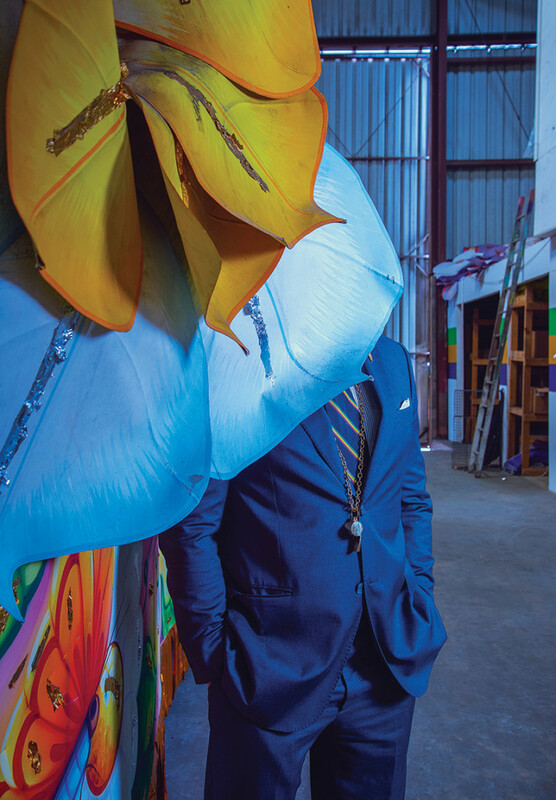 This year’s parade theme is “Visions of the Sun,” and Sir Bathurst gave New Orleans Magazine a sneak peek within the Rex den and walks us through a day in the (Carnival) life, and more, in this month’s Persona profile. When did you find out you were the new captain? I found out the year before Mardi Gras 2018. The previous captain, Christi Brown, invited me to lunch. I thought he was going to add to my duties, or even take away from my duties as a lieutenant. I was beyond thrilled and shocked when he told me he would be passing the title to me. How long does a captain remain in service and what duties are you in charge of? There is no set rule for length of service, and it varies from captain to captain. My role is that of a CEO in charge of running the behind the scenes of the parade and the ball. I am in charge of two legs of a three-legged stool, with the other leg being that of the Pro Bono Publico Foundation. What’s new with the Pro Bono Publico leg of the Rex organization? The Pro Bono Publico Foundation (which raises money to support charter schools) is truly unique. After Katrina, leadership felt that it was a way to bring our motto into physical existence. The Board runs that Foundation and they work year round. They are diligent in working to continue in their endeavors. Are there any changes or new items you’d like to enact as captain? The transition process went as smoothly as one could possibly hope for. There was very little to be done. We are consistently leaders in Carnival throughout the year. 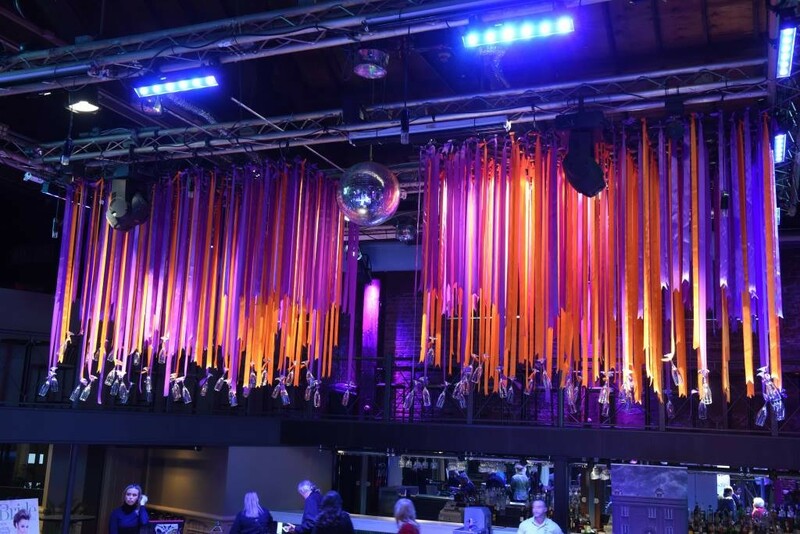 As New Orleans Carnival evolves, we work to be the leader in that evolution. How would you describe the next phase of your day, the Ball? I am lucky to have a ball chairman, as I do also a parade chairman, who are both lieutenants in the organization. We start the ball at 8 p.m. sharp at the Sheraton. The Rex ball is more of a royal reception than the standard European bal masque, and so we are not masked for this portion of the evening. We do wear our masks for the meeting of the courts, which is the next step in the evening. How do you end your Mardi Gras, and do you take a vacation afterwards? After the ball, we have the Queen’s reception, where we enjoy a little breakfast and toast with a glass of Champagne. After that I drive the king, just us and our wives, back to his house. I make sure he gets home and then I go home myself and go to bed. I have taken vacations in the past, but this past year I was up just like every day at 7:30 and went into work. It’s all part of Mardi Gras. What is your favorite part of Carnival? My greatest memories are of dressing up for Mardi Gras as a kid. I remember one year I dressed up as Evil Kenevil. My sister and I, we got in our little red wagon, and my dad pulled us to the parade route from our home in the Lower Garden District. That’s my favorite place to be during Carnival, on the parade route with my kids and family watching the bands. Favorite New Orleans festival: not sure Mardi Gras qualifies as a festival, but it has always been my favorite New Orleans event, by far; I go to almost every single parade, rain or shine. True Confession: I have absolutely no sense of smell.